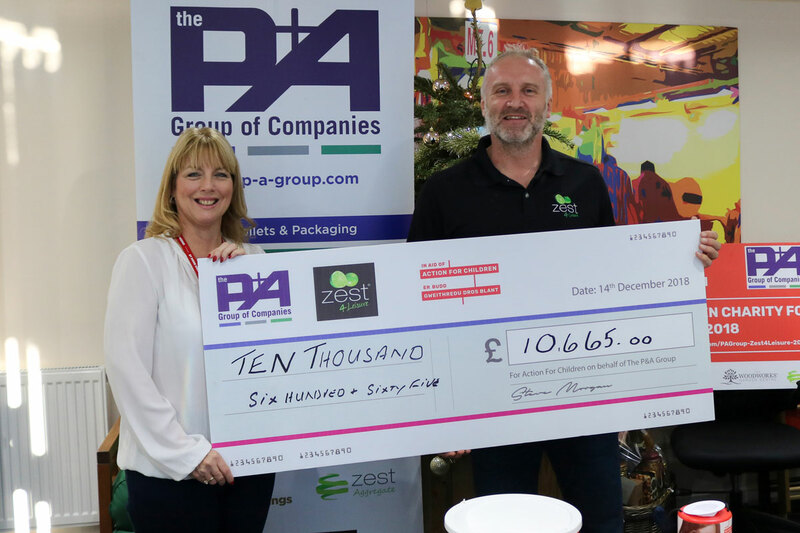 Employees of Zest 4 Leisure, part of The P&A Group of companies, a leading trade supplier of timber garden products, were delighted to announce that a total of £10,665 was raised for their chosen charity for 2018, Action for Children. 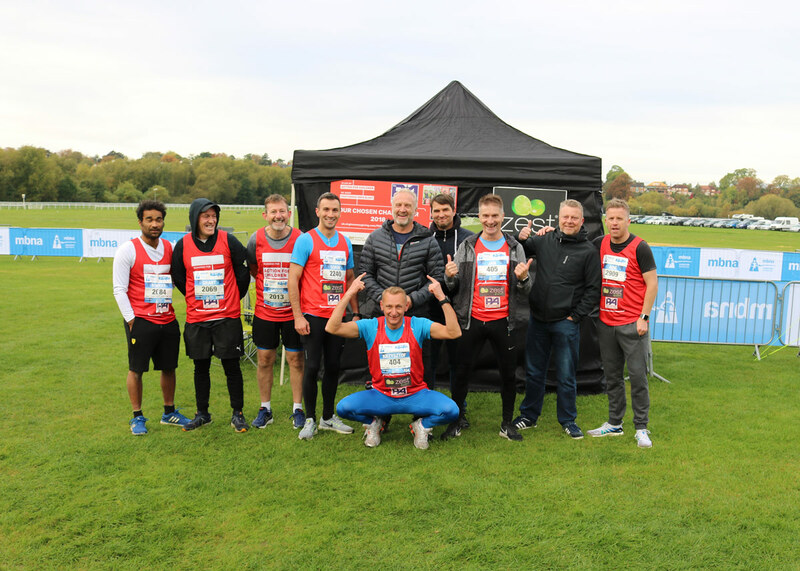 Team members spent 2018 raising money for Action for Children through a number of challenging events including Virgin Money London Marathon, Ironman Wales, Chester Marathon, Leicester Marathon, Rhyl Schools Triathlon and more. 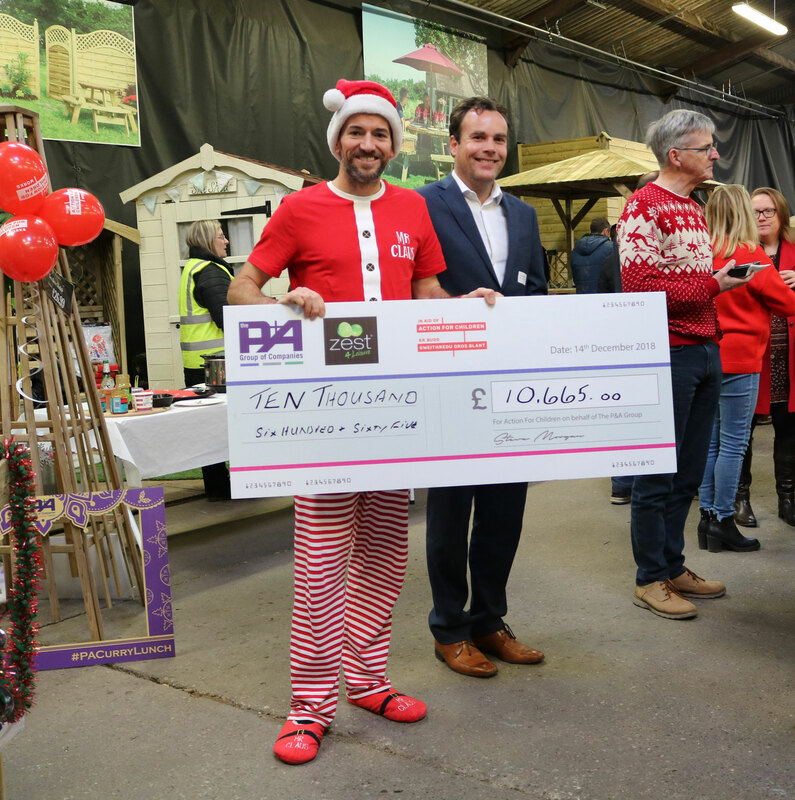 Every year Zest 4 Leisure, gives its employees from each division including Woodworks Garden Centre and café and P&A Pallets, the opportunity to support a charity and last year Action for Children was chosen, with staff signing up to various events at the beginning of 2018. In addition, in April last year, Steve Morgan, Zest 4 Leisure’s Managing Director along with Andrew Baker, Finance Director and John Vaughan, Manager, ran the iconic Virgin Money London Marathon to raise money for the vital cause. As a growing company, Zest 4 Leisure is committed to employee fitness and long-term well-being as well as supporting the community and raising money for charity and demonstrates this through the number of events they arrange and totals that they keep donating year after year. Previous charities Zest 4 Leisure have supported include Alzheimer’s Society, Alder Hey, Meningitis Now and Cancer Research UK.